On a crowded train platform, Interpol agent Kenneth Durand feels the sting of a needle— and his transformation begins. . . . In 2045 Kenneth Durand leads Interpol's most effective team against genetic crime, hunting down black market labs that perform "vanity edits" on human embryos for a price. These illegal procedures augment embryos in ways that are rapidly accelerating human evolution—preying on human-trafficking victims to experiment and advance their technology. But the Huli jing have identified Durand, too. After being forcibly dosed with a radical new change agent, Durand wakes from a coma weeks later to find he's been genetically transformed into someone else—his most wanted suspect: Wyckes. 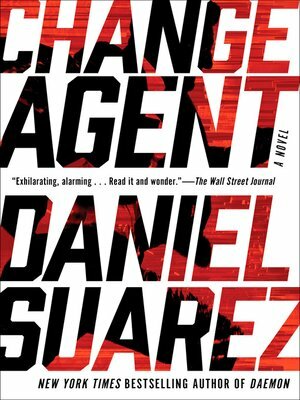 Now a fugitive, pursued through the genetic underworld by his former colleagues and the police, Durand is determined to restore his original DNA by locating the source of the mysterious—and highly valuable—change agent. But Durand hasn't anticipated just how difficult locating his enemy will be. With the technology to genetically edit the living, Wyckes and his Huli jing could be anyone and everyone—and they have plans to undermine identity itself.